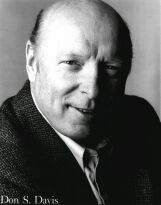 Don S. Davis has been acting for 42 years. He has done stage work and taught acting. He has been in the motion pictures "Best In Show", "Con Air", "Cliffhanger", "Needful Things", "Look Who's Talking", "A League Of Their Own", and "The Sixth Day", among many others. 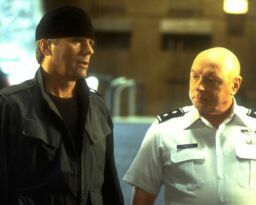 He's also been on many television series, including portraying Captain William Scully (Dana Scully's Father) on "The X-Files", Major Garland Briggs on "Twin Peaks", and USAF Major General George S. Hammond on "Stargate SG-1". In addition to acting, Don is also a very skilled artist and sculptor. When the opportunity to conduct this interview arose at the GenCon 2002 Gaming & Sci-Fi convention, I did not know that Don would even there, let alone that I would have the opportunity to interview him, so I had nothing prepared ahead of time. One might even say that the interview itself is a work of improv. I have split up the interview questions into categories so that it is easier to find the desired information, with the full interview and a links section also included. Some of the questions may have fit into more than one category, and so have been listed more than once. Click here to return to the Improv Interviews List By Name. Click here to return to the Improv Interviews List By Profession/Skill. Click here to return to the Improv Interviews Main Page.